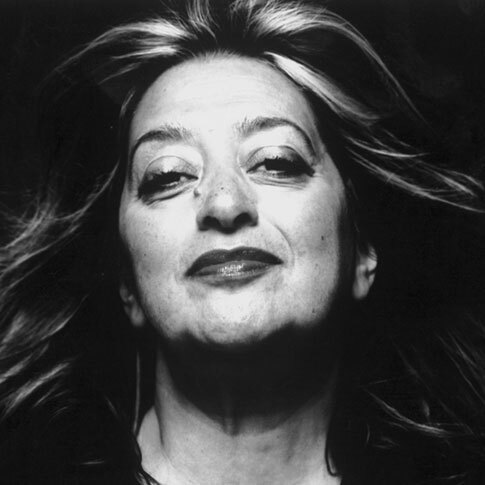 Zaha Hadid is an architect who consistently pushes the boundaries of architecture and urban design. Her work experiments with new spatial concepts intensifying existing urban landscapes in the pursuit of a visionary aesthetic that encompasses all fields of design, ranging from urban scale through to products, interiors and furniture. Best known for seminal built works including the Vitra Fire Station, Strasbourg Tram Station, and the Rosenthal Centre for Contemporary Art in Cincinnati. Hadid studied architecture at the Architectural Association in London from 1972 and was awarded the Diploma Prize in 1977. Since then she became partner at OMA, and has taught at the AA, as well as some of the world's most prestigious universities including Harvard University and the University of Illinois. Her collaborations beyond architecture include furniture design for B&B Italia, design accessories for Serralunga, and shoes for Brazilian fashion label Melissa.